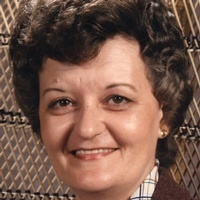 Dolores Kaye “Dee” White, 73, Johnson City, passed away Thursday, January 10, 2019 in the Johnson City Medical Center. A native of Carter County, she was a daughter of the late Mitchell Owen & Rosa Mae Higgins Sams. Dee was a graduate of Happy Valley High School. She was a retired employee of J.C. Penney. She was a member of Brick Christian Church and the Carter County Car Club. In addition to her parents, she was preceded in death by her husband Junior D. White, February 28, 2018. Survivors include her children: William “Bill” White & wife Brenda and Regina Stewart & husband San. Her Grandsons: Codi Stewart, Wesley Stewart, Avery White, Aiden White, Mitchell Bowers and Michael Rader. Her Granddaughters: Amber White, and Addison White. Her Great Grandsons: Silas Stewart, Carson Ward Stewart, Ethan Vess, Austin Milhorn, Aiken Milhorn and David Scalf. Her Great Granddaughters: Abigail Milhorn, Megan Vess, Audrie Vess, and Emma & Lyla Irene Stewart. Her Siblings: Roscoe “Bud” Sams & wife Rebecca, Lois Bouton, Nancy Whirledge & husband Al, Charlotte Morris, Pat Jarrett & husband Tommy and Sherry Wilson. Several nieces & nephews. Funeral Services will be conducted at 7 p.m. Saturday in Memorial Funeral Chapel with Mr. Ernie Depew, Minister and Rev. Justin Deaton officiating. Graveside Service and Interment will be at 2 p.m. Sunday, January 13, 2019 in Happy Valley Memorial Park. Music will be provided by Lois Bouton. Active Pallbearers who are requested to assemble at the funeral home at 1:20 p.m. Sunday will be: Amber White, Wesley Stewart, Codi Stewart, Avery White, Aiden White, Mitchell Bowers, Larry Miller, Tony Vanover, Randy Hyatt, Mitchell Bouton, Darrell Bouton and Brad Headrick. Honorary Pallbearers will be: Claude Buchanan, Tony Eller, Rick Osborne, Billie Joe Buck, Tony Mottern, Lynn Montgomery, Harold Hatley, Butch Jones, John Scott, members of the Carter County Car Club. The family would like to express a special “Thank You” to Marion Mottern and the nurses & staff of the 2400 and 2200 Wings of the Johnson City Medical Center. The family will receive friends from 5 to 7 p.m. Saturday in the funeral home. Family and friends will assemble at the funeral home at 1:20 p.m. Sunday to go to the cemetery. Condolences may be sent to the family at our web-site www.memorialfcelizabethton.com.